Over the centuries it is the women of Scotland who passed down the oral stories and folk ballads. Most histories were told in poem form. There were Oral Folk Poets; Ballad singing and Song composition. Here are a few Scottish Women Poets, we never hear of – strangely. I am certain there must be many more! When students study literature – it is the literature of men that is studied. Many wonder – where are the women writers? 18th century Scottish culture was transitional and interactive with regard to both oral and written literature. Because of their class both Burns and Little struggled to be taken seriously. Burns was the ‘Heaven taught ploughman’ and Little was the ‘Scotch Milkmaid’ poet. 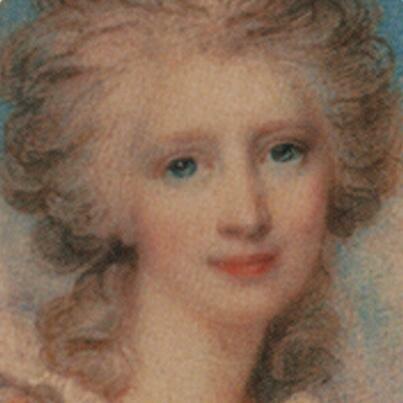 She came out with a Poetry Collection in 1792. She is studied in North American universities as significant in the study of 18th century studies, while she is mostly untaught in Scotland. She wrote of gender, class and nation. She was from a noble family of Fife Scotland, born 1750 and wrote the well known ballad ‘Auld Robin Gray’. 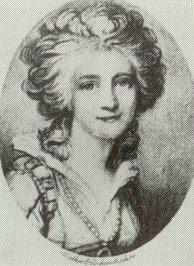 She lived in Georgian society during the Scottish enlightenment. To reward the nobility of Edinburgh a grand new town was built. Was it so great though? Of her 8 brothers, 4 entered the army and 2 went to sea and one joined the East India co. Three died in different corners of the world and a fourth spent years in a Mysore dungeon. Eventually Bernard moved to London, married at 42 and went to live in the Cape of Good Hope. Willa was a writer and poet, born 1890 – 1970. 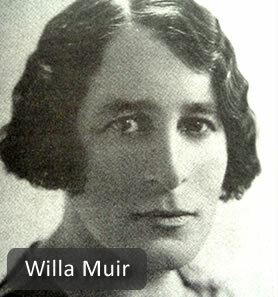 She and her husband Edwin Muir were part of the Montrose Scottish Renaissance between the great Wars. The Muirs were part of the “restless intellectual group of writers and thinkers” in 1920-30s active during the Renaissance of Montrose along with the poet Hugh MacDiarmid. Born Wilhemina Anderson in Montrose of Shetlandic parents (unlike her husband Edwin who did not attend secondary or higher education) Willa earned a 1st class degree in Classics from University of St Andrews in 1910. She taught languages before marrying Edwin 1919. For 40 years the couple travelled and worked in Europe before their five years at Newbattle, and went from there to Edwin’s post as Norton Professor of Literature at Harvard University in the United States.